Double glazing is manufactured using two layers of glass with a cavity between the two. The cavity is filled with either air or gas and it serves to soundproof your home, as well as prevent heat from escaping. But how effective is double glazing at preventing heat loss? And how does it work? The air or gas inside the double glazing unit acts as an insulator. Although this doesn’t stop the heat from escaping completely, it significantly reduces the amount of heat lost through the windows. In addition, because the air gap is narrow, the air has less room to circulate around the unit, meaning there is also less heat lost through convection. Efficient double glazing can account for as much as a 54%-64% reduction in heat lost from the home. As well as the improved insulation properties of the double-glazing, some windows are available with a reflective e-coating film on the inside of the glass. This has the added benefit that it reflects the heat back into the room. Traditional glass is a conductor of heat, meaning it will quickly transfer heat to the cooler air on the outside. With an e-coating, the glass does not conduct the heat as well and keeps the inside of your home warmer as a result. 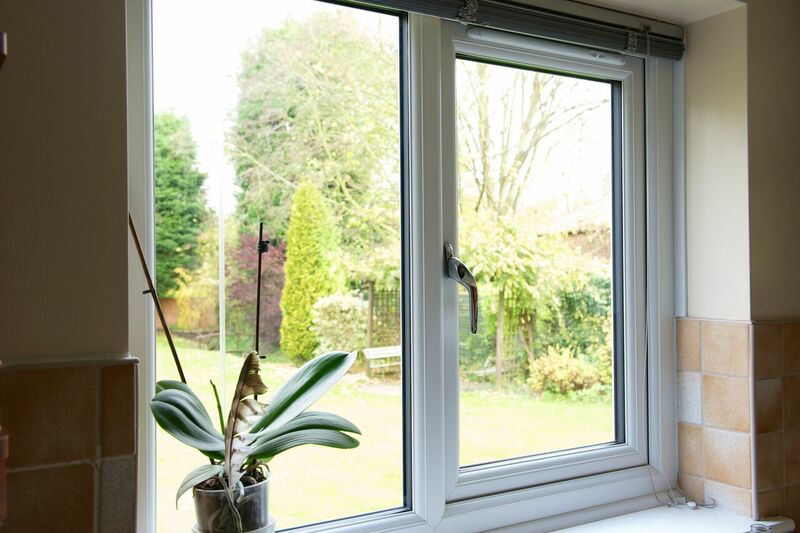 The insulation properties of double glazing work both ways, meaning as well as a warm house in the winter, you can also enjoy a cooler home in the summer. 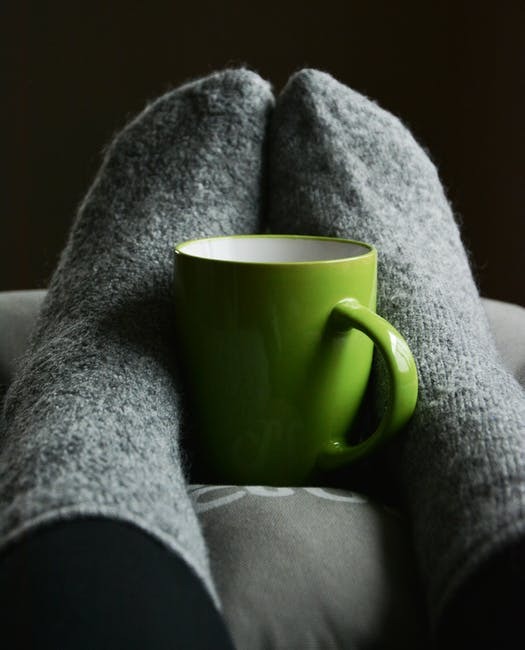 Heat transfer from the warm air outside is reduced dramatically by the insulating layer of air or gas inside the window unit, meaning you can enjoy more effective temperature control in your home. To find out how Indeluxe windows can help keep your home warmer, take a look at our range of double glazed windows today. Installing new windows and doors in your home can represent a significant investment which can feel like a big outlay for little real improvement. However, there are a number of often overlooked benefits that make double glazing an excellent value for money investment for your home. Here are just a few of the reasons to consider investing in double glazing for your home. While it might feel like interior decorating or a new kitchen would yield greater aesthetic rewards, it’s worth remembering that the first thing people see when they arrive at your home is the windows and doors. There are a wide range of styles of double glazing available, including timber frames, so you can perfect the external look of your home and make it look amazing. Double glazing is more energy efficient than regular windows and doors. This helps to limit the amount of heat loss and reduce energy consumption in the process. That means you can enjoy a warmer home and lower heating bills while at the same time helping reduce carbon emissions. Additionally, double glazed windows help to keep your home a constant temperature so you can enjoy a consistently comfortable ambient temperature, keeping warm in the winter months and cooler in the summer months. Double glazed windows and doors are stronger than traditional single pane windows. The frames are also more rigid and therefore difficult to break into. As well as protecting your home from forced entry, this also acts as a deterrent to potential intruders. uPVC windows especially offer greater ease of maintenance, with no need for painting. Simply wash them down regularly with warm soapy water and keep your windows looking fresh for years. Double glazing is particularly effective at reducing unwanted external noise and ensure you can enjoy the peace and quiet at home. 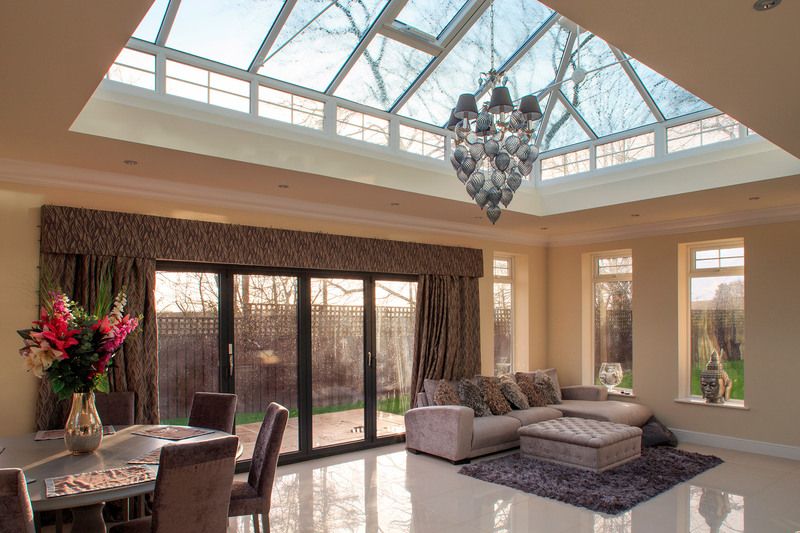 Indeluxe specialises in providing high-quality windows and doors. To find out how you can benefit from new double glazing in your home, submit your information for a free quotation. It happens. Sometimes your windows break and you wonder whether it is worth replacing all of the windows instead of repairing just the damaged window. To help you determine whether you really need to replace all of your windows or just a few of them, we’ll discuss what you need to consider when finalising your decision. If you currently have single glazed windows throughout your property, then it is a good idea to consider upgrading them to double glazed windows instead. Single glazed windows are poor at retaining the heat in your home and can cause uncomfortable draughts during the winter. 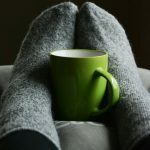 This could lead you to use more energy as you try to warm up your home. Upgrading to double glazed windows can help you retain heat in your home due to the layer of argon gas. It is also great at reducing external noise which can help you sleep more peacefully at night. If you have had your current windows for more than 10 years then finding your current windows in their current style may be hard. Since style and tastes are constantly changing, if you had your windows fitted more than 10 years ago, it’s possible that the same style window is no longer being produced. Though you may be able to find similar styles that may complement the look of the house such as french casement windows for traditional properties. This may not matter if you are not worried about mismatched windows but if you need to replace all of your windows in one go start with the back of the house first rather than the front of the house. As mentioned above, if you have had your windows for a long period of time then you be may be losing out on savings by not upgrading to double glazed windows. After you have decided that you would like to get a set of replacement windows, get an accurate quote. You can do this in under 5 minutes using our online window quote tool. Posted in GeneralLeave a Comment on Should you replace all of your windows at the same time?